When you are involved in a motorcycle accident, you need to focus first on taking care of your injuries. Your second focus should always be on the law, in order to make sure you receive fair and adequate compensation for the injuries you sustained. When hit by another driver you have rights and responsibilities that can help ensure you are made financially whole once again. If you aren’t sure where to start, working with a dedicated legal professional can help you explore your options and decide whether to pursue a lawsuit, consider what compensation may be fair to you, and answer any questions you have. 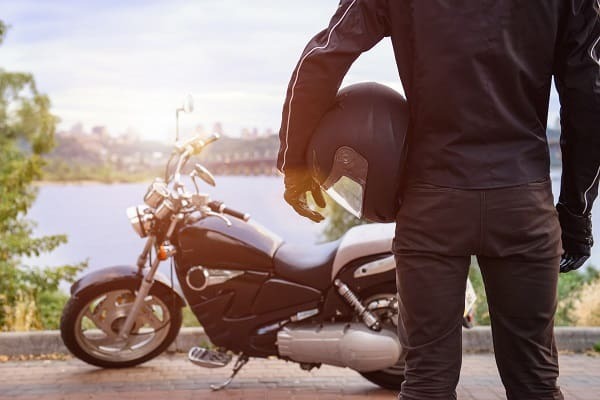 Because of the design of a motorcycle and the way riders are exposed to elements and dangers, riding a motorcycle is a unique experience – more so than being enclosed in a car, truck, or SUV. There is a high level of freedom that comes with motorcycle riding, but it is important to balance that freedom with an understanding of the level of risk that is also involved. Being aware of legal rights matters, as two-thirds of motorcycle accidents are caused by other drivers who fail to see the motorcycle or violate the right-of-way of the rider. Motorcycle fatalities continue rising, even though other fatality numbers are dropping. If the driver of another vehicle strikes a motorcyclist, that driver is said to be at fault. However, there are also accidents where both the other driver and the motorcyclist may be considered in the wrong, depending on the exact circumstances. In these kinds of cases, a motorcyclist may not be able to recover all types of damages or may be limited to the type or amount of damages that can be sought under the law. That does not mean that no compensation will be available, but being partially in the wrong in an accident can change the scope of the recovery options. In some cases, there is a defect with the motorcycle itself that caused the accident. This can come from the manufacturer, or from another company or person who performs mechanical work on that motorcycle, especially if that was done in the very recent past. These problems may also be eligible for compensation if they cause a driver to be harmed in any way. For anyone who has experienced this, finding out the exact cause of the accident and the true nature of the defect can provide information as to whether there are grounds for seeking legal remedies and appropriate compensation. No matter how much knowledge of the law a motorcycle rider has, talking to a qualified legal professional about options after an accident is very important. Compensation may be available even if there are extenuating circumstances or the motorcycle rider is partially at fault. Working with a legal advocate can help any motorcycle rider know whether they have a case and the best way to move forward.